Stand up and zen out with our SU2C yoga bundle. 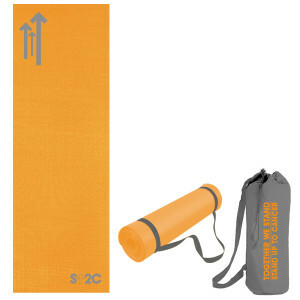 This bundle includes a bright orange yoga mat, a carrying strap, and a handy cloth bag. Share a message of support for survivors and all those touched by cancer while supporting accelerated cancer research. I am very pleased with the yoga mat, strap and carrying case! Very good quality . I love the reminder as I am at yoga that I stand up for cancer as a cancer survivor!